The Model 138, announced in 1976, featured a maximum main memory of one million characters of information, double the earlier System/370 Model 135, with internal performance speeds up to 36 percent faster. Shown here in a design model, the 138 included a visual display operator console to provide fast, convenient communications on the status of the central processing unit. 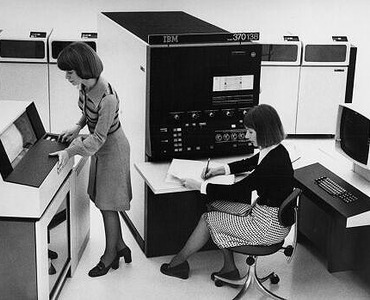 Additionally, users could directly attach one or two compact IBM 3203 system printers, with a rated speed of 1,200 lines per minute.